Toying with art masterpieces. Sacrilege... or just having a laugh? 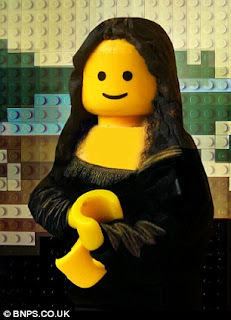 Italian artist, Marco Pece, has taken several of the world's best known paintings and given them a Lego twist. Click on this link to view more. If Pece can bring the masses to art's greatest works via his Lego copy-cats, more power to him! Perhaps we should take our cue from Mona Lisa - she looks very pleased, thank you very much. I'm marco pece aka udronotto. Thanks for your comment, I like it very much. Hi Marco! Thank you so much for visiting! I love your work...such fun! I wish you nothing but plenty of success!